 Fabric: 100% cotton designer fabrics go into our hand-crafted Shark Attack bow tie!  Spreading: Hand-crafted one at a time in our studio in Sunny California! 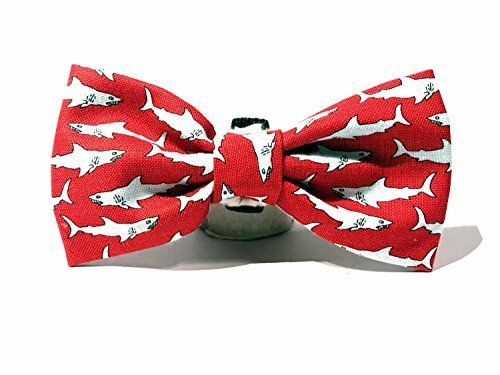  Shark Attack Bow-tie is hand-crafted to order in 3 different sizes! If you have any questions about this product by Very Vintage, contact us by completing and submitting the form below. If you are looking for a specif part number, please include it with your message.